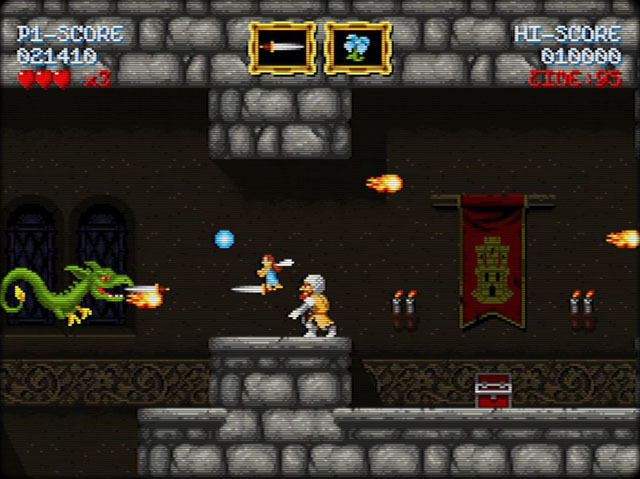 In 2012, Locomalito released Maldita Castilla for free on PC, and now the developer is revisiting the game with Cursed Castilla, a.k.a. Maldita Castilla EX, an enhanced version of the original game. The original game is excellent and is still available via the developer's website, and it's a must play for fans of the Ghosts ‘n Goblins series. The EX version of the game features two new levels, as well as new enemies and bosses, plus an illustrated bestiary that unlocks as you defeat enemies. In addition, the developer has rebalanced the levels and improved some of the game's finer details like the camera and some enemy sprites, and the game features remastered audio and additional music tracks not included in the original release. The game is now available for PC via Steam and Xbox One via XBLA, with a PS4 version planned for release later this year. For more information on this game and Locomalito's entire catalogue, check our coverage here.